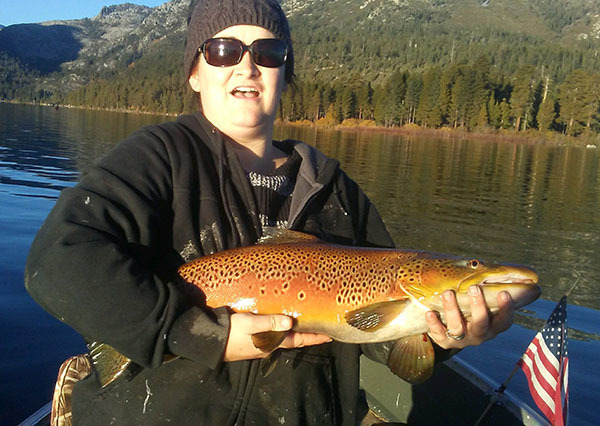 Angler Tabita Tripp checked in with an update from Lake Tahoe. I’m super proud of this catch! Once in a lifetime, for sure! We didn't weight him but were guessing around 10 pounds....by far the biggest catch of my life. 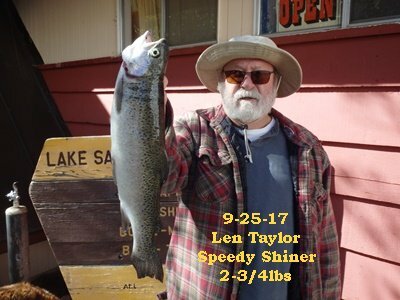 My husband, Captain Nic Tripp and I spend every Sunday together fishing and he led me to the perfect spot, I was using the smallest flatfish we had and we were headed toward west shore...don’t want to give away the exact spot since we put him back. We caught this beauty on October 22nd.